First of all, I'd like to welcome back Manaloha rent-a-car as a blog sponsor. They moved their operation at 200 Waiehu Beach road (opposite of Jack in the Box). It's only 8 minutes from the airport, but you shouldn't worry about that, since they offer a convenient airport pickup and drop-off. They have a fleet of more than 80 cars, so pretty easy to accommodate everyone's needs. Yesterday I surfed the bays. First the other one (Paia) one and later the proper one (Honolua). As you can imagine, the difference in the quality of the waves was quite noticeable, but, believe it or not, I had fun in both sessions. 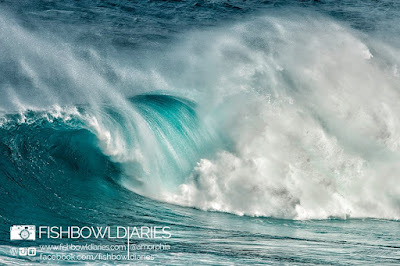 That's the beauty of surfing (or at least of my approach to surfing): doesn't matter the conditions, as long as there's a challenge involved, it's fun. When I arrived at Honolua, I saw this set on the horizon, pulled over, grabbed the camera and shot this wave, put the camera back and paddled out. The Cave was a bit much for me, but The point was fun. Just before getting in the water, I checked the Pauwela buoy and it read something like 7f 13s, if I remember right. The bombs coming through seemed a bit bigger than that, so I checked it again when I got out. When I saw that the 3pm reading was 9f 15s I loudly exclaimed in the dialect of my home town:"a facc ro cazz!". Which can be politely translated with something like "no wonder! ", but it's waaaay more colorful than that. 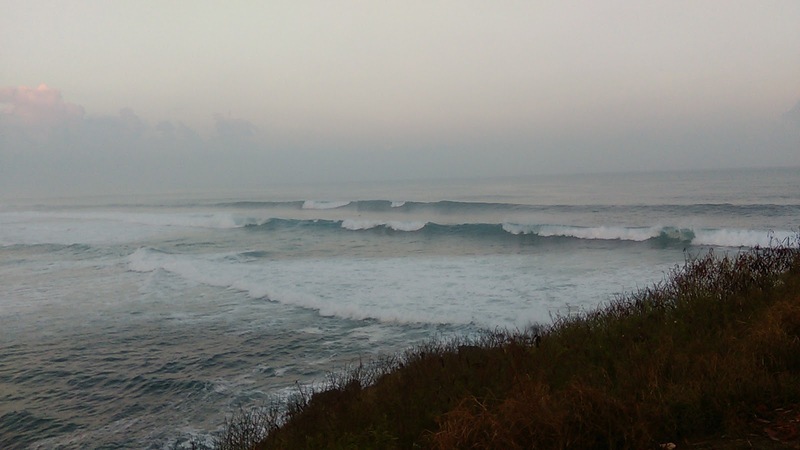 These shots are from sunset time at Hookipa. This guy really closed his turn all the way. Look where he's looking. 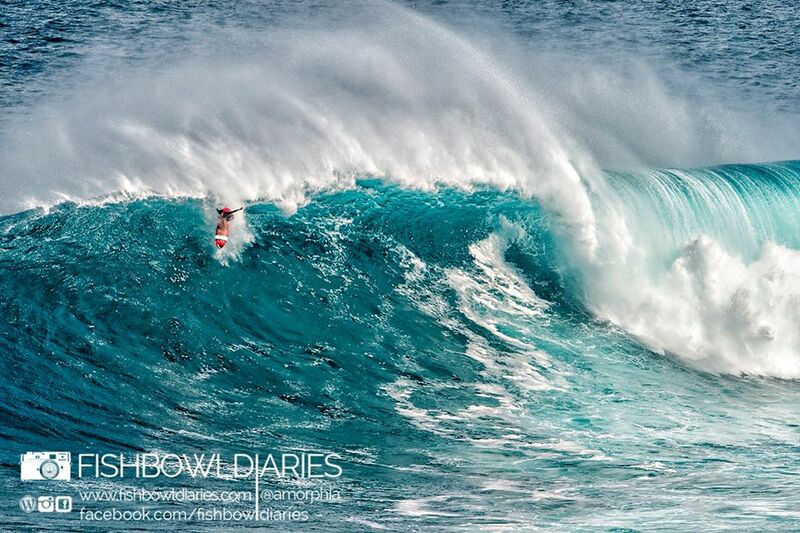 Stylish bottom turn at Middles. I pointed out a rise at the NW buoy, but that's because it's being engulfed in some NW winds and the short period energy went up. The same winds should reach our shores in the afternoon, so surf early is my strong recommendation. and even though Waimea shows a steady decline, that is still a really fun size with a mix of peaks from the different swells. Should go down all day, before a new solid NW swell picks up tomorrow (13f 15s from 325 at 8am, according to Surfline). 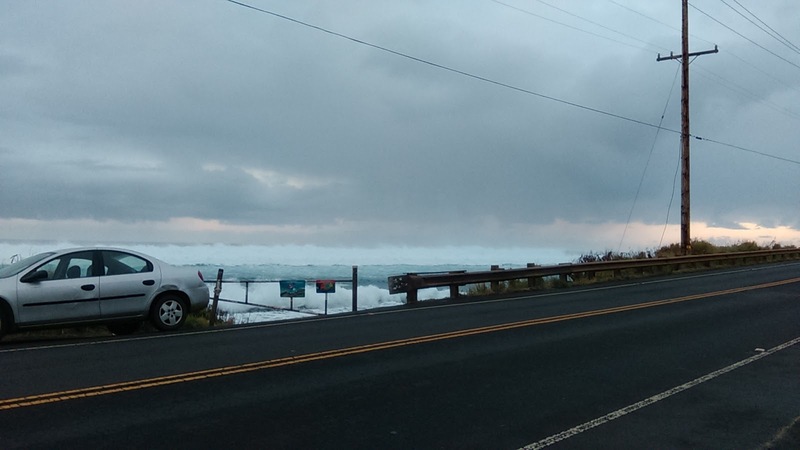 That swell will be even bigger on Wednesday (18f 15s at 8am). 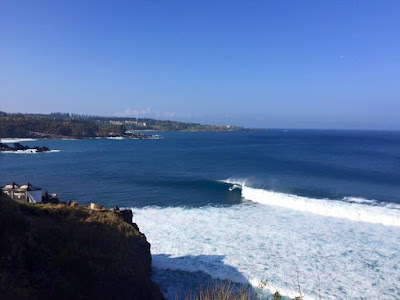 Once again I'll have the "problem" to find another spot to surf (Hookipa too big), but what a nice problem to have. 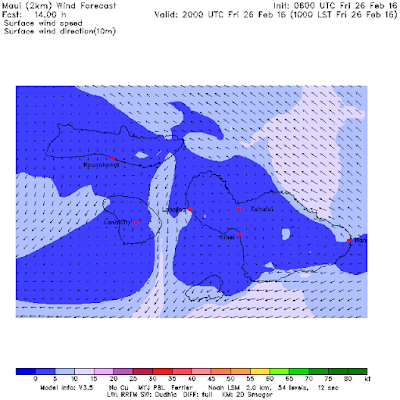 Wind map once again shows a solid NW fetch and a new one coming off Japan. Is this ever gonna end? Let's hope not. That is a solid fetch down south. Write down Monday March 7 on your calendar if you like to surf the south shore. 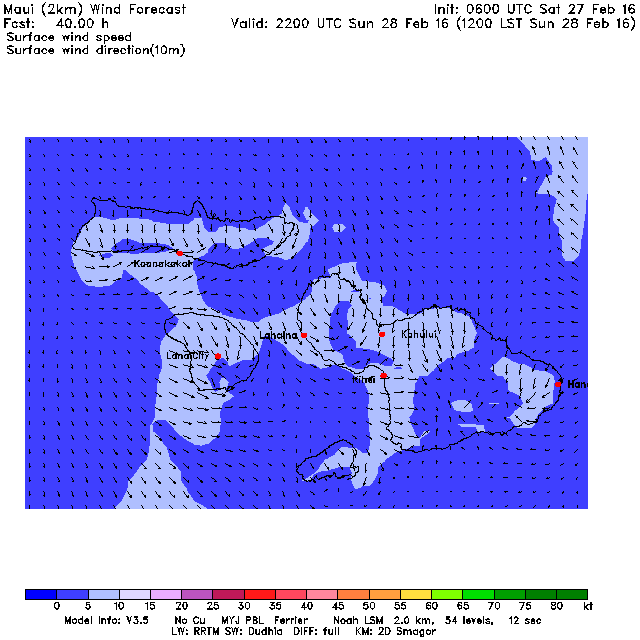 MC2km maps not updated yet, this is the 11am map but from yesterday's run. It shows the start of onshore winds that will ruin the waves in the afternoon. Again, that is an old map, check the link n.17 if you want to see the much more reliable updated ones. 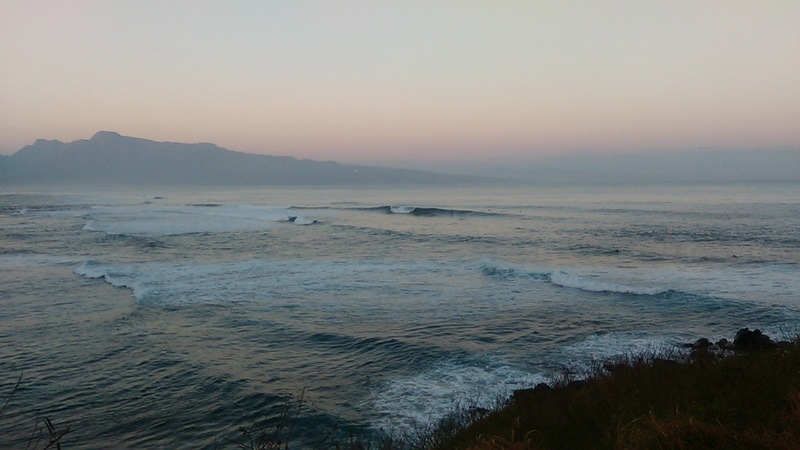 7am Hookipa still has doh sets. Light offshore and clean. Double surf and windsurf session for me in a day that saw a lot of action everywhere. Check out the pristine conditions for the second and final day of the "Legends of the bay" contest at Honolua, for example. Photo by Jeff Lackey. 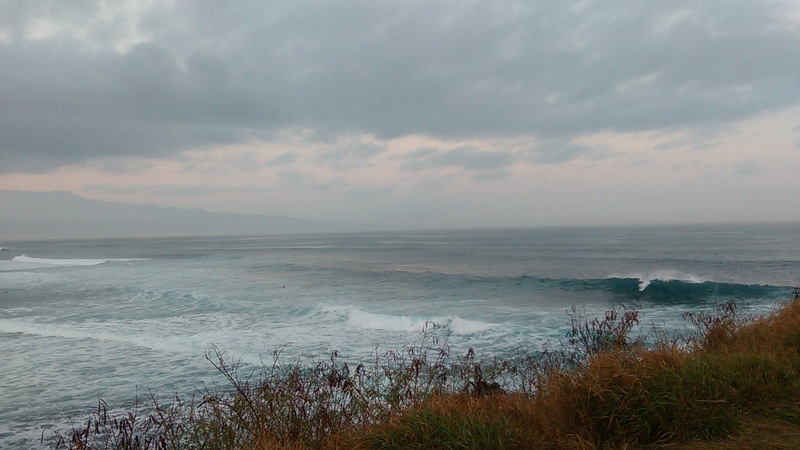 This is how Hookipa looked in the afternoon instead. The call for spectacular conditions was pretty easy, seen the perfect size of the waves and the light wind that didn't ruin them. Photo by Jimmie Hepp. Blog author disregarded his trigger finger condition and enjoyed a session that he ranked 8.5. Photos by Gisela Helenius. Going over the falls while windsurfing is not as common as while surfing, but blog author managed to pull it off. Today a reinforcement swell will hit. I circled the raise at the NW buoy. It started around 3pm and the period was 12s. GP's rule says 18h at 12s, so I think around 9am we'll see a similar raise. and that is plenty to have fun with. I wouldn't wait for the reinforcement, because the wind might get worse. 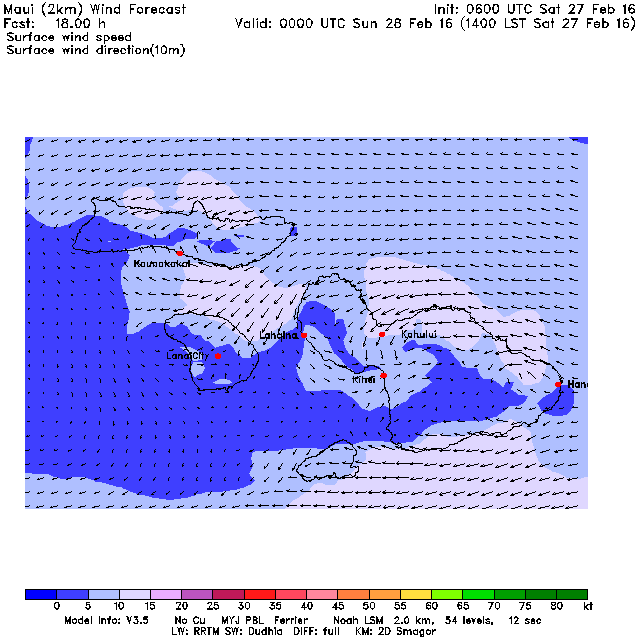 Wind map keeps showing solid fetches. I forgot to circle it, but it's pretty evident. Warning levels once again on Wednesday (!) with Surfline calling for 19f 15s from 324. Swell after swell, this amazing winter keeps going strong. And if that's wasn't enough, the South Pacific is temporarily coming back to life adding a coupe of lovely fetches of its own. Bit frustrating that at the time I do this call the MC2km maps are usually not updated yet. This is today's map at noon, BUT IT'S YESTERDAY'S RUN and it shows the start of an onshore flow after a beautiful calm or even light offshore morning. In case I won't have the time to update it later, please check it yourself, because today's run (if they do it!) will be much more accurate. 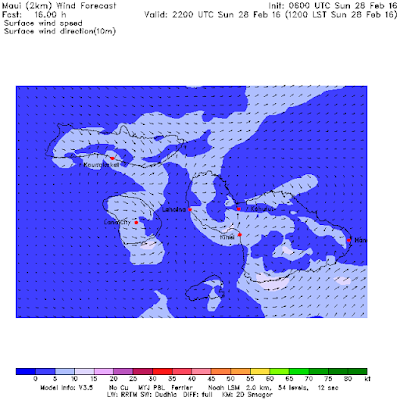 Link n.17 of GP's meteo website list. There we go, here's the Sunday's updated noon map. In this case, pretty similar to the older one: the start of an onshore flow around noon is confirmed, the light offshores in the morning too. More big waves all day yesterday, but here's a couple of more shots from Thursday. 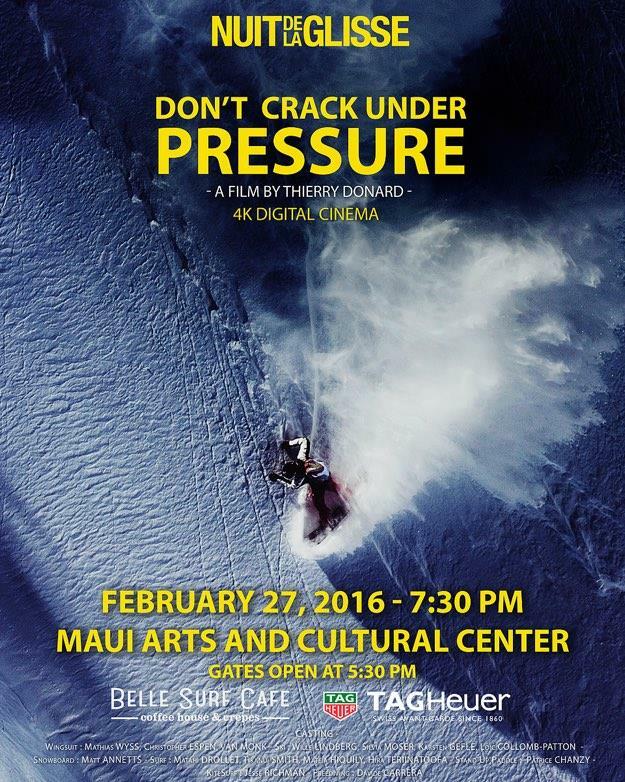 Tonight there's the Don't crack under pressure movie at the Macc. 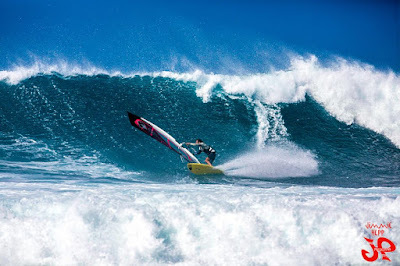 "Maui Grom short film" to open the night including two Maui young windsurfers. The three buoys all show a down trend that will continue until tomorrow when a 10f 15s reinforcement will arrive. 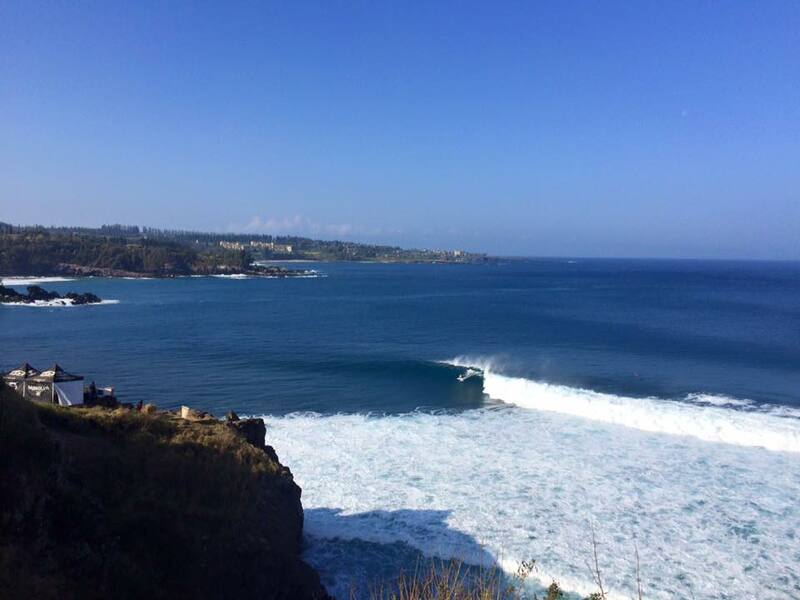 Hookipa is going to be surfable. Stay tuned for the photo report. Wind map shows a solid NW fetch. 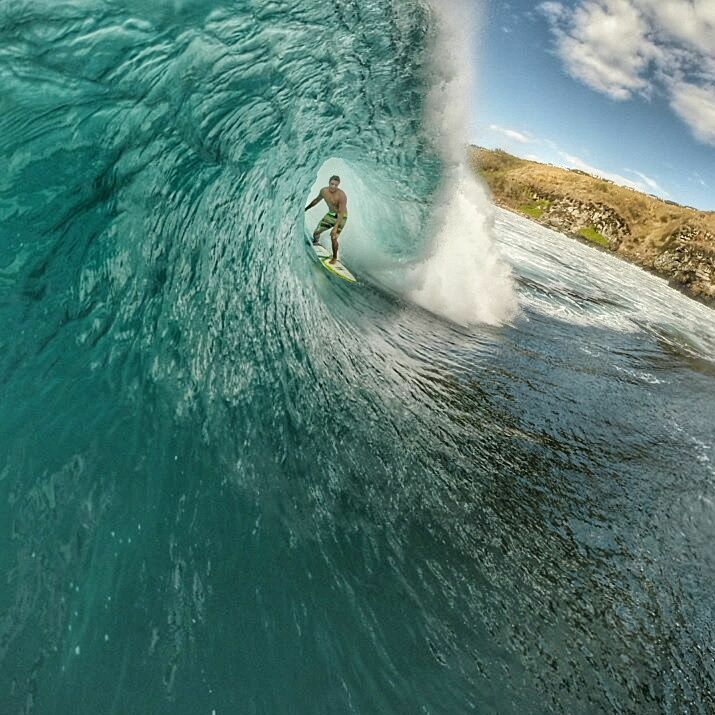 No shortage of waves anytime soon. Next extra large swell on Wednesday, which really seems to be the day of the week. Still fetches south, tomorrow and Monday gonna look even better and SOLID south swell in a week. 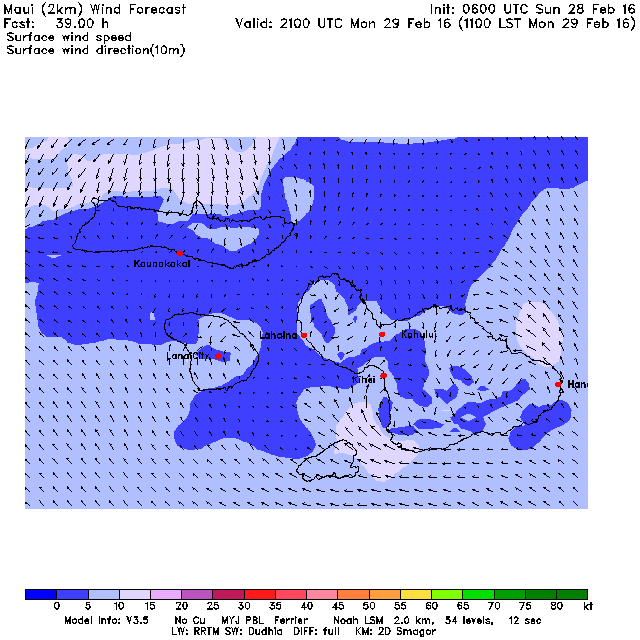 MC2km maps not updated yet at the time of this post, I'll use yesterday's run to show today's map at 2pm. 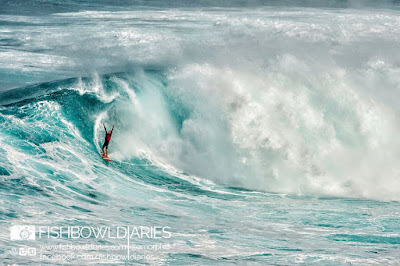 That is sailable and Hookipa should be pretty spectacular. Well, in the meantime, the maps did get updated and I'm gonna use this as an example of how important it is for this maps to be less than 24h old. That's the same 2pm map and the trades have been down downgraded into the 10-15 range. See the more manageable wave size, I still think someone will sail Hookipa. Maybe not as many as it would have been if it was 15-20. I will definitely have a look myself. It's going to be interesting to see how the windsurfers will launch (and come back) with the new sandless version of the beach at Hookipa. In 15 years, I've never see it like this. The sand will eventually come back, the question is when. 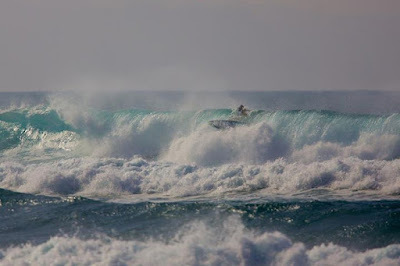 Double surf and windsurf session for me yesterday, both two hours, both fun, I'm beat up. 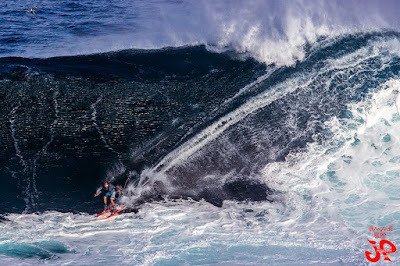 Plenty action all over the island, let's dig into it starting from this incredible paddle in barrel of Albee Layer at Jaws. The photos are by Fish Bowl Diaries and I strongly recommend you check the whole sequence to see how impossible it looked at one point. Actually, that looked impossible from the drop to me. If anyone one day will surf Jaws on a sub-7 board, that's gonna be Albee. And when you're that deep and you come out, that's what you do. I hope he gets wave of the winter of barrel of the year or one of those things. Chuck Patterson did it again. He tow skied Jaws. Photo by Jimmie Hepp. Last, but most definitely not least, here's a photo of Jason Hall illustrating the firing conditions at Honolua Bay. Let's have a look at the graph of the three buoys. I put red arrows again on the peak of the swell. The times I mentioned yesterday were confirmed: 12h difference between NW and Pauwela, due to the 18s interval. Whoever was watching (or surfing or shooting) the waves all day might have not noticed the peak, since the swell stayed pretty steady after it, but the buoys did. I circled the switch to the 15s period on the NW. That will coincide with a sharper decrease, as you can see from the graph. It looks like it happened around 5pm yesterday. 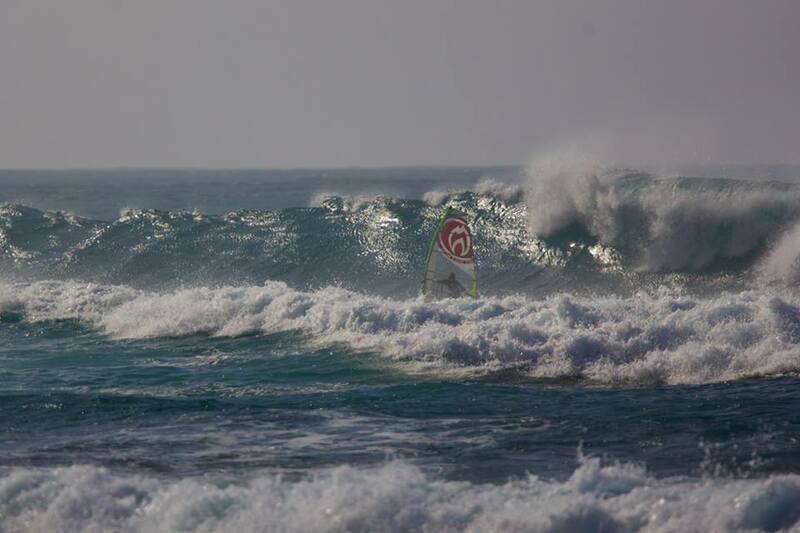 15s means 15h travel (for a swell from around 320) and so the same shoud happen in Maui around 8am today. 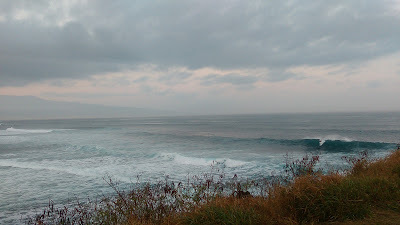 so still plenty more energy in the water and most of the regular spots (Hookipa included) not surfable. Plenty other ones though! Happy hunting! Wind map shows a nice long fetch that unfortunately will move in the direction of the arrow and the biggest energy of it will miss out to the NE. But we'll still get plenty. Good swell for Baja though. South Pacific getting active, it's been a few days with little fetches here and there. Today's ones look pretty good and that big one S of New Zealand should get even better. 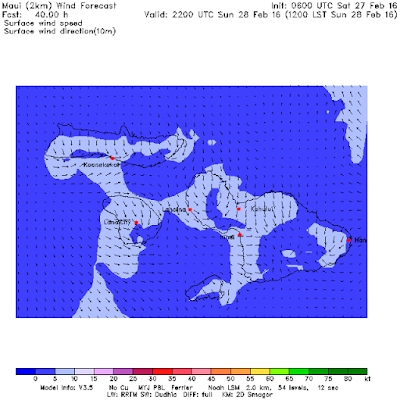 Keep an eye on the south shore in a week. BTW, West Lanai buoy back is in action. MC2km back in action too, here's the 10am map of today that shows the wonderful light SE wind that all north shore surfers love. Later in the day light trades should pick up (not enough for sailing). This is 2pm. What time do I start working? I feel like apologizing for not having pointed out the beautiful light offshore conditions that yesterday morning provided. I'm gonna blame the unavailability of the MC2km maps which is something that I personally miss enormously. I only posted the 11am Windity snapshot, which was showing light NW winds, which then became stronger later in the day. Once I figured what the wind was going to do, I timed a Lanes session to perfection: when the buoys just come down to around 6f 13s and just before the wind went from SW to NW. The waves were beautiful and Robby Naish caught some gems on his SUP. I got a shot of my friend Doron in his Mexican wrestler mask that keeps him 100% out of the sun. I then squeezed a short photoshoot. I had noticed Kai Barger doing flips without grabbing rails and this is the special pad he had under his front foot. No idea how it works, but it does work. Albee had one too (although smaller), but he didn't trust it enough and was still grabbing rails. 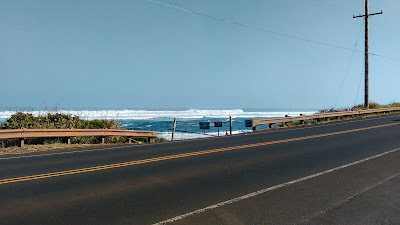 The surfing day ended with a classic power hour at Paia Bay in which both me and a friend of mine caught 12 waves. That was a good one. 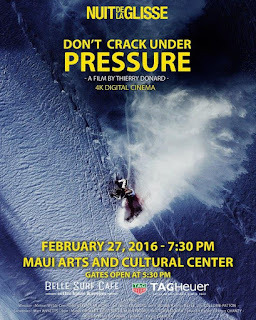 Little announcement: Saturday night 7.30pm at the MACC there will be the Hawaii premiere of the movie Don't crack under pressure. Here's the preview. I'm going. Big numbers at the buoys today, as we all were expecting. Below are NW and Hanalei. 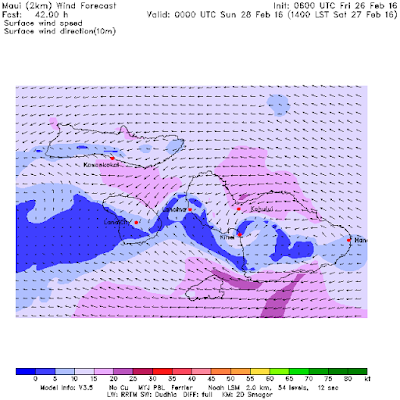 NW peaked at around 22.5f 20s around 8pm, Hanalei still on its way up at 3am. Keep in mind this important information outlined by Pat Caldwell: "The swell should be centered near 320 degrees and spread from 305-330 degrees." A swell never is from only one direction. Whatever the buoys show as direction, that is just the main direction, the one associated with the most energy, but there will be sets that are more westerly than that and sets that are more northerly. He also calls the peak of the swell in Oahu for 8am. 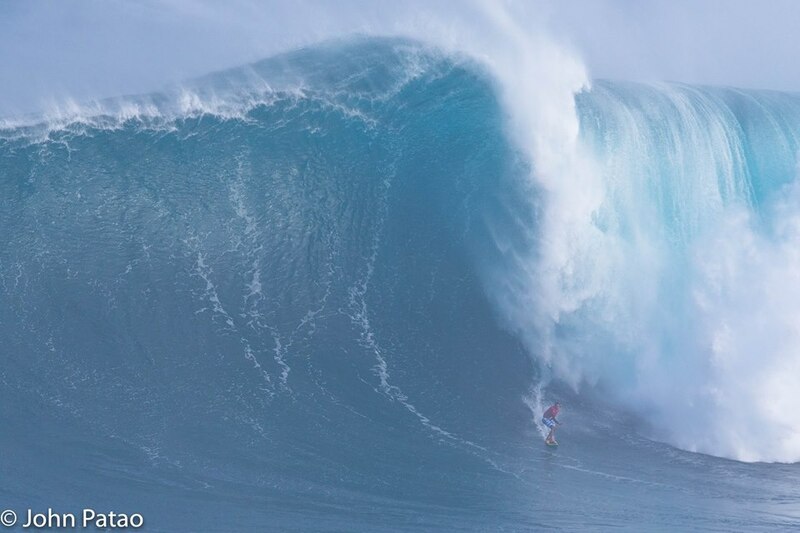 Surfline calls the peak in Maui for 2pm. By looking at the NW buoy and applying GP's rule of thumb, I would guess a 8am peak in Maui, which is much earlier than what both uncle Pat and Surfline call for. We shall wait and see. Today the Eddie could be run. Check it out here. 1) I like Jamie Mitchell's comment. If someone like him says that, that means something. 2) it highlights again the absurdity of the Hawaiian scale. Not sure how that conversion is done, what puzzles me is why people uses it. 26f 19s should be enough information. 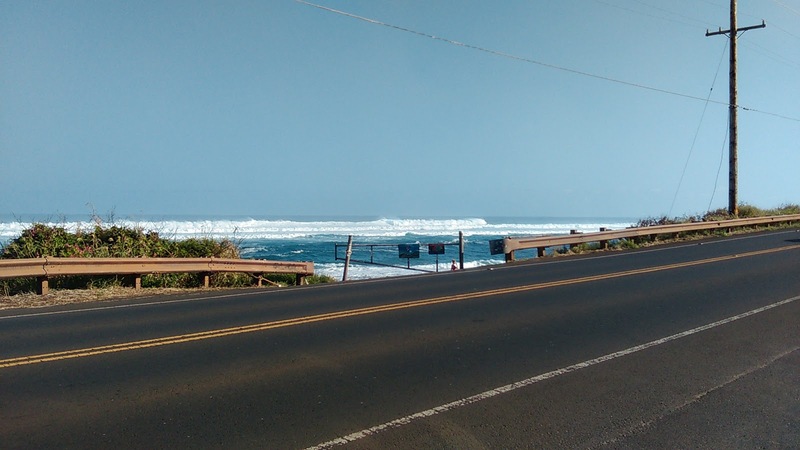 It would be nice to eventually add how big the face of the waves will be at Waimea bay, but 29.5 Hawaiian feet does not tell you that. Careful if you're going down at Jaws, it looks like there was some rain during the night as the 3.15am radar shows. Weather map shows a nice NW fetch providing the next NW pulse at the beginning of next week. Bit of energy should come also from the south in a week. 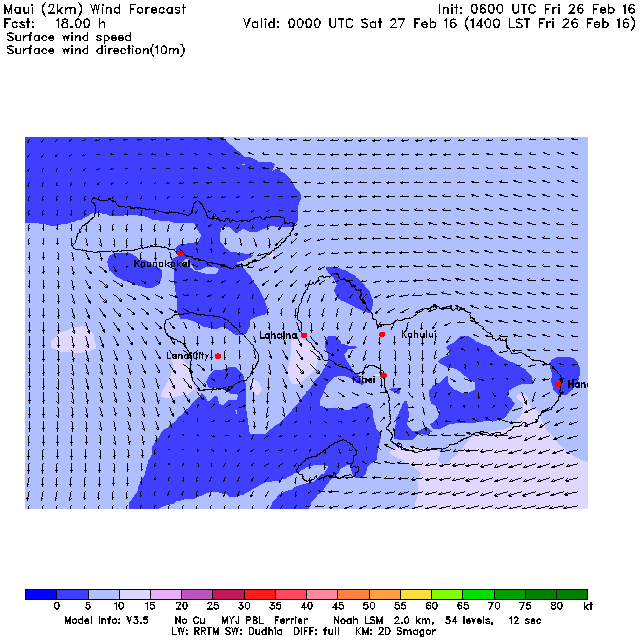 11am Windity closeup shows a direction of 60 degrees which will make sailing the north shore extremely challenging, most likely impossible, considering the size of the waves.